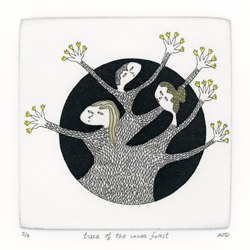 A Compendium of Trees of the Inner Forest, artist's book with five etchings/aquatints with hand coloring. 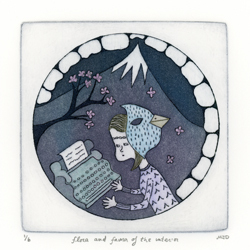 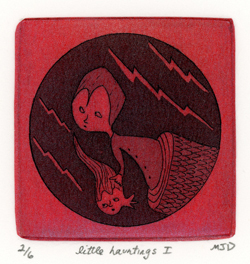 Like Moths to Flame, artist's book with four etchings/aquatints with metallic washi chine collé. 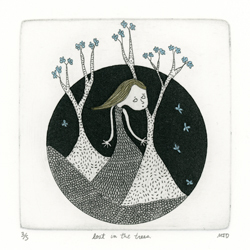 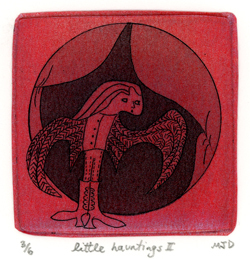 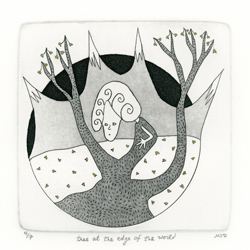 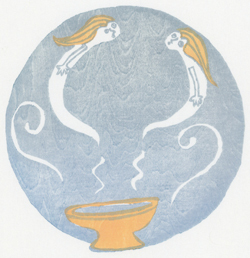 Little Hauntings, etchings/aquatints with metallic washi chine collé. 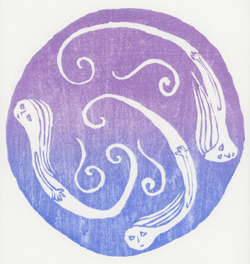 The Apparitions & Three Naiads, mokuhanga.